A small business cannot be a general store. It requires focus on delivery of a unique sales proposition to a market that actually wants it. If you can’t be all things to all people, then you can be exactly what some people are looking for. So, when competitors exist, you must stand out by doing things or offering things that your competitors are not doing. You want to find that untapped source of business and make that your niche. Accomplish this by identifying your competitors and studying their products, offerings, marketing, and brand presence. Once you find that competitive angle, market it and improve it! Prospects and customers need your personal attention, and putting a face to your brand can make you more accessible and attractive to prospects. But, to compete in such a way, you must understand that business is not a vanity enterprise. Be communicative, proactive, and responsive. Be honest with your customers, own your mistakes, and learn from them. You can reduce customer service issues if you solve problems before they begin! Active responsiveness and its social proof (timely public responses on Yelp and social media, for example) keeps customers loyal and closes deals with prospects. Publishing a website just for vanity’s sake does more harm than good. Market a website that has triple-A quality. Your site must have a wealth of information and engaging content. If you’re going to have a website, it shouldn't only look jaw-dropping, you need to put strategy into its purpose. Is it there to allow customers to locate you? Is it to attract clients? Is it there to sell? Each target requires design and content that is catered to its particular purpose. Keep the buyer's journey in mind and design your website to help advance potential customers along the path as efficiently and enjoyably as possible. A new business must constantly network. You must engage your customers- developing and continuing those relationships- in person, by email, and on the phone. You must also network outside of your office. There are so many occasions for potential networking available that you must assess their value and prioritize your involvement. For example, you may meet nearby prospects and competitors at the local Chamber of Commerce luncheons. Of course, if the guests are not immediately meaningful to your business growth, then you need to find a better venue. Depending on your industry, you might do better with membership in a professional association or an industry group. You can also network via your connection with subgroups like the communities at your place of worship, club, or veteran’s association. In order to win, you need to know what you're up against! If you don’t understand what the competition is doing, you'll never be able to find your place in your industry. Your competition may be local, national, foreign, or online. They may be business owners, independent contractors, or freelancers. 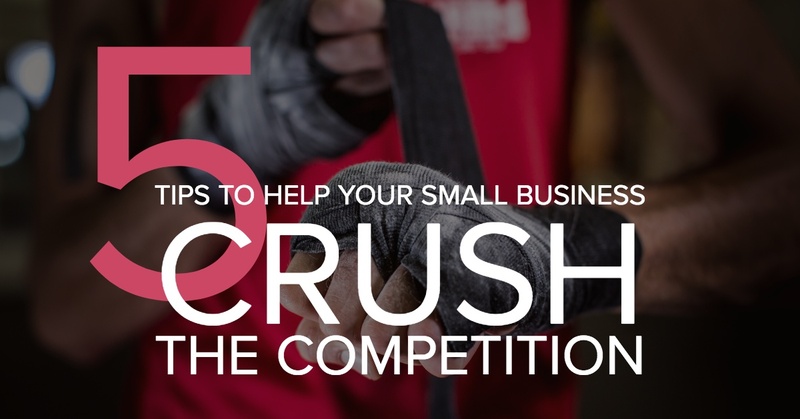 Whatever the case, every business has basics worth researching, analyzing, and assessing. You need to identify your competition right off the bat and keep track of their evolution as your company grows (and so does theirs). Learn who they are and how they present themselves- monitor them in the news, in their communities, and online. Take note of how they've positioned themselves in the market and community and use that information towards your own business and marketing strategy. It may seem creepy, but gather as much information on them as you can. Find out where their culture meets their community in terms of donations, sponsorships, and other support, and strive to meet or beat it. You must know what’s in their product and product mix- if something works well for them, you may need to move to the next thing. What they are doing right also suggests what they're doing wrong (or not at all), so identifying those gaps may be an entry for you. You'll also benefit from knowing who their customers are. Without intending to steal them, you should know what those customers want, what pleases them, and what you could do better in regards to their wants and needs. You can grow a more competitive business with help from the dedicated support services at StreetShares! StreetShares offers unique financial solutions for America's heroes and their communities, from small business loans and lines of credit to investment opportunities that give back to the small business community. 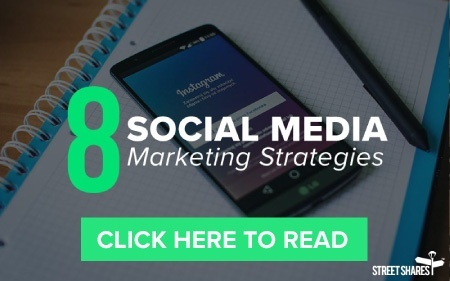 For an even more detailed look into the various growth strategies that could help make your business a success, download the ebook, "9 Tips to Grow Your Business." Achieving business growth is critical to business success over the long term. 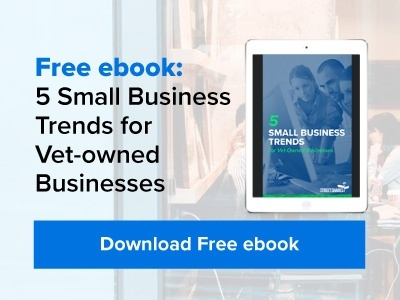 Learn about these growth strategies in this easily digestible ebook, which includes information on small business funding for veterans. Previous Post: Are Bonds Really a Smart Investment?